McDonald's says hamburgers served in its U.S. restaurants will not use any artificial preservatives, artificial flavors, or colors. The only exception is the pickle, which customers can skip if they prefer. The fast food chain says it's part of its "food journey" and affects all 14,000 U.S. locations. The change affects the McDonald's hamburger, cheeseburger, double cheeseburger, McDouble, Quarter Pounder with Cheese, Double Quarter Pounder with Cheese, and Big Mac. “From switching to 100% fresh beef in our quarter-pound burgers, cooked right when ordered, to removing artificial preservatives in our Chicken McNuggets, and committing to cage-free eggs by 2025, we have made significant strides in evolving the quality of our food,” said Chris Kempczinski, McDonald’s USA President. “We know quality choices are important to our customers, and this latest positive change to our classic burgers demonstrates our committed journey to leading with the customer and building a better McDonald’s," Kempczinski added. It's part of a trend driven by younger consumers, who are often more particular than their older peers about what they eat. Competitors like Panera and Chipotle Mexican Grill, even though they cost more, are valued, in part, for their natural ingredients. So far, about two-thirds of McDonald's burgers and sandwiches are free of artificial additives, with the exception of the artificially-preserved pickle. 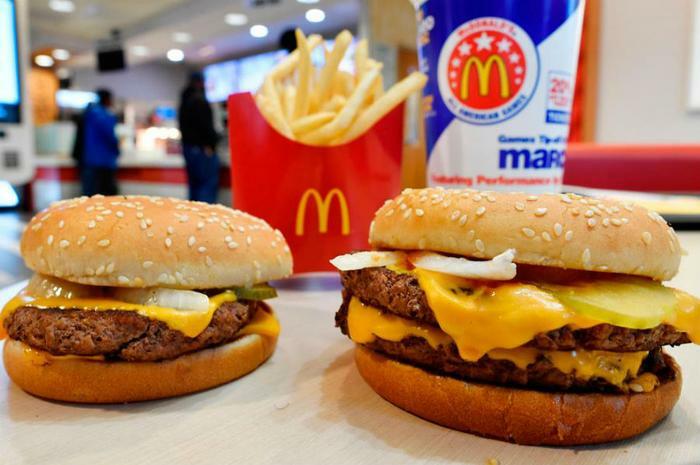 The company said it has removed artificial preservatives from its cheese, Big Mac special sauce, and the hamburger, Quarter Pounder, and Big Mac buns. The move comes as the fast food chain has undergone something of a makeover. It has begun to renovate restaurants and install ordering kiosks that customers may use to avoid standing in line. Once ordering, the customer can pay at the kiosk, take a number and have a seat. When it's ready, the food is brought to the table. In most fast food restaurants, the customers stand near the counter waiting for their order to be prepared. In August, McDonald's announced it would spend $6 billion to upgrade most of its U.S. restaurants to include the ordering kiosks and take on a more modern look, in keeping with its McCafe branding.